Getting ready to host a big concert or some type of special event? We at RJ Recording & Sound are pleased to outfit you with everything you need to make the event a success from an audiovisual standpoint. 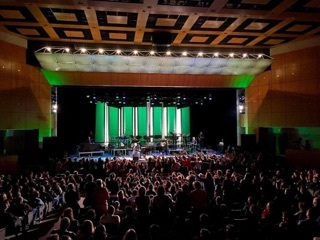 We provide equipment such as microphones, speakers, EQs, mixing consoles, backlights, and concert stage lighting so you can prepare your space for professional-level sound and lighting. Touring entertainers: Traveling the region for a series of concerts, but don’t want to haul all of the sound equipment yourself? We provide bands and musicians with a full array of sound equipment to lighten their load when they’re on the road. Corporate events: Whether it’s a trade show, convention, conference or other type of event, we make sure your keynote speakers and emcees have the amplification they need so they can be heard by all attendees. Ground breakings and dedications: When you’re kicking off a new building project or dedicating a recently completed project, you’re going to need outdoor sound equipment so attendees can hear you. We are glad to help you get set up for the occasion. Professional DJ service: If you want more than just DJ equipment rental in Geneva, IL, we’re also happy to send a DJ to your location to bring the fun to your event! We provide professional DJ services for weddings, graduation parties, holiday events and a wide variety of other types of events. 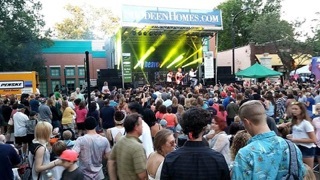 Multi-stage festivals: Our services are available for multi-stage music festivals, city/county/state fairs, church festivals and more. All of these services are provided by a team of sound experts with more than 40 years of experience in their field. 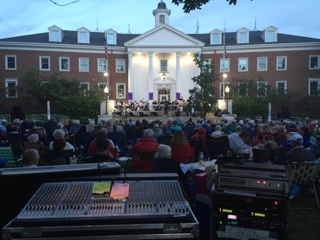 To learn more about renting an outdoor sound system in Geneva, IL, call us today at 630-232-1932 and we will be happy to provide you with a quote for your equipment needs.